Restaurant cuisine in Istanbul is dominated by fish, which stands to reason in a city both surrounded by and divided by water. The street food caters to carnivores with giant slabs of doner kebab meat spinning on rotisseries in diner windows. But veggies need not despair! 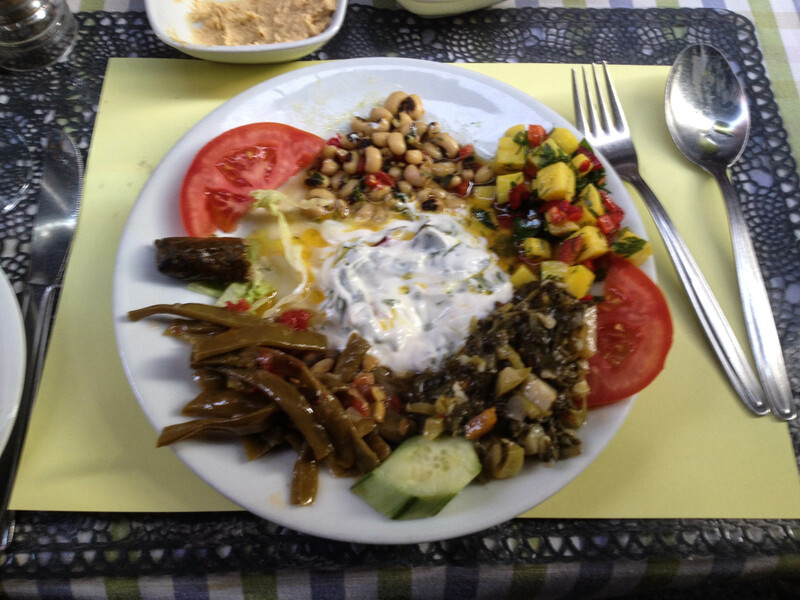 Istanbul is also home to a wide range of both vegetarian and vegan dishes. For snacks and street food, bypass the tasty-looking but inevitably overcooked corn on the cob, and sample some of the wide variety of Turkish breads. A personal favourite is pide, a flatbread loaded with melted cheese (and optional meat), also known as Turkish pizza. Breakfast in Istanbul will probably also be cheese-and-bread based, with a variety of tangy hard and soft cheeses, and a side of fruit. For vegans and non-cheese fans, there’s still plenty to choose from. Most restaurants will offer a vegetarian/vegan option, which will likely consist entirely of vegetables (perhaps with bread on the side). Or, in many traditional restaurants you can pick and choose from a variety of meze, such as hummus, eggplant and rice-stuffed grape leaves. Manti (Turkish ravioli) can usually be ordered stuffed with either meat or vegetables. Dessert usually takes the form of a variety of fresh fruit. Indeed, fruit lovers will be kept very satisfied in Istanbul. As well as a range of fresh fruit for breakfast, dessert, and snacks, the dried and sugared fruit sold at market stalls are a must-try. 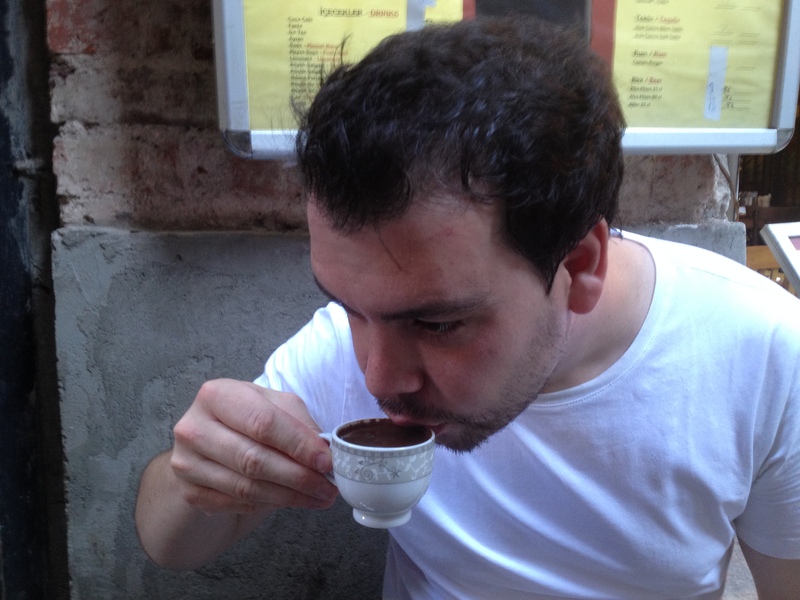 Lastly, no meal in Istanbul is complete without a world-famous Turkish coffee. UNESCO-listed as an “intangible cultural heritage”, these tiny cups of thick coffee-and-sugar syrup give an instant caffeine rush. 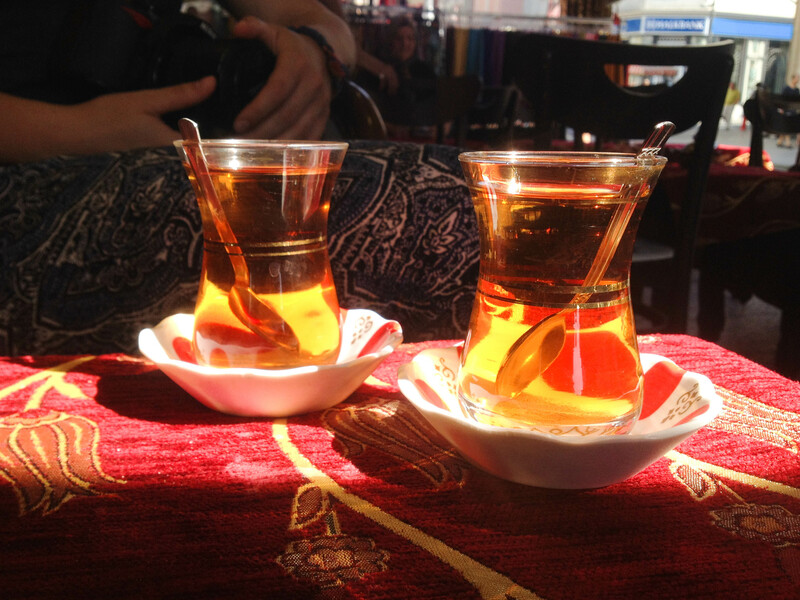 For those who prefer tea, the only thing you need to worry about is which of the long list of teas you’d like to try (for me, the answer was apple and cinnamon).